“Website” is a reference to our Website electrohill.co.uk and electrohill.com on which we offer our Goods or Services. 3.3. You must pay for your order before it is delivered and you can do so by debit or credit card or PayPal. To ensure that shopping online is secure, your debit/credit card details are only handled by the card payment gateway and will be encrypted to prevent the possibility of someone being able to read them as they are sent over the internet. Your credit card company may also do security checks to confirm it is you making the order. 6.1.1 You must notify us immediately if you decide to cancel your order preferably by email at sales@electrohill.co.uk and quote your order number. 6.1.2 Goods: The time limit for notification of cancellation is 14 calendar days following receipt by you of the Goods. 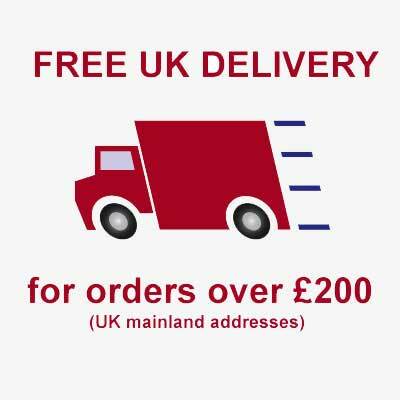 We cannot guarantee that we will be able to stop your order once we receive notice of cancellation as the Goods may already have been despatched. In these cases the Goods will need to be returned to us. 6.1.3 Services: The time limit for notification of cancellation is 14 calendar days from the day you ordered and paid for the Services unless you have requested us to commence the Services before the expiry of this period in which case the cancellation period expires when we begin providing the Services to you. 6.1.4 Once we have heard from you that you wish to cancel your order within the stipulated time period we will refund or re-credit your debit or credit card with the full amount within 14 days which includes the initial delivery charge (where applicable) which you paid for the delivery of the Goods or the Services, as applicable. 6.1.5 You must ensure that the Goods are returned to us at our address given above at your cost immediately by courier in good condition and unused. 6.1.6 If you cancel a contract on this basis and you do not return the Goods to us, we may recover the Goods and charge you for the costs we incur in doing so. Similarly, if you return the Goods at our expense, we may recover that expense from you. 6.1.7 A full statement of your legal rights under the Distance Selling Regulations may be obtained in the UK from your local Citizen’s Advice Bureau or Trading Standards Office. 6.2.1 Please use the returns form on our website to inform us of your wish to return Goods quoting your order number. We will then issue you with a returns number. Without this number we cannot accept returns. You must ensure that the Goods are returned to us at your cost immediately by courier in good condition and unused. 6.3 We recommend that all returned or cancelled Goods are returned using a reputable courier such as Parcel Force, UK-Mail, DHL or UPS. We take complaints very seriously and aim to respond to your complaints within 5 business days. All complaints should be addressed to info@electrohill.co.uk. 9.5. The products sold by us are provided for private domestic consumer and enduser use only. Accordingly, we do not accept liability for any indirect loss, consequential loss, loss of data, loss of income or profit, loss of damage to property and/or loss from claims of third parties arising out of the use of the Website or for any products or services purchased from us.